F Monitor from Filtermist uses a traffic light warning system which instantly alerts machine operators to any potential blockages, changes in airflow or if extraction equipment needs servicing. F Monitor is suitable for use with a wide range of oil mist, dust, smoke and fume extraction equipment. As well as Employers’ responsibilities under CoSHH regulations, Employees are also required to report any defects in control measures ‘forthwith’. 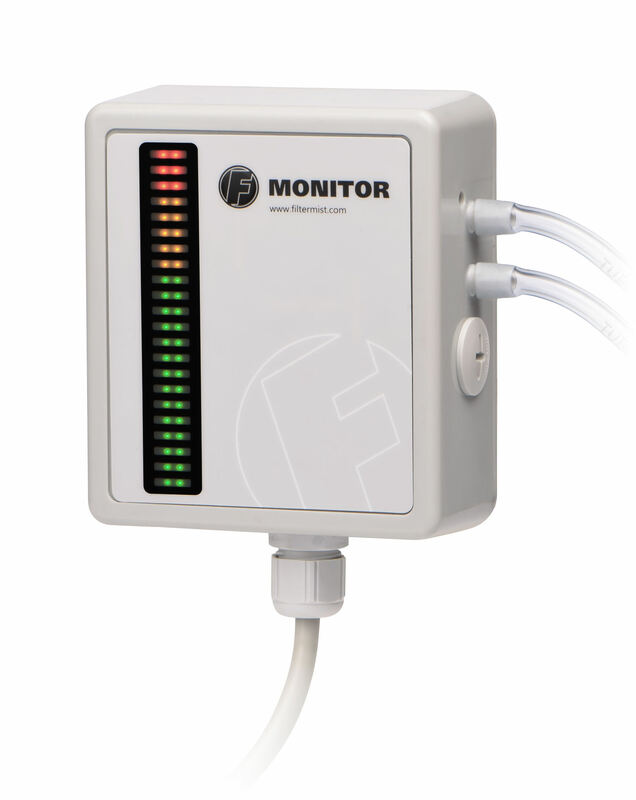 F Monitor makes it simple for any issues to be instantly identified.